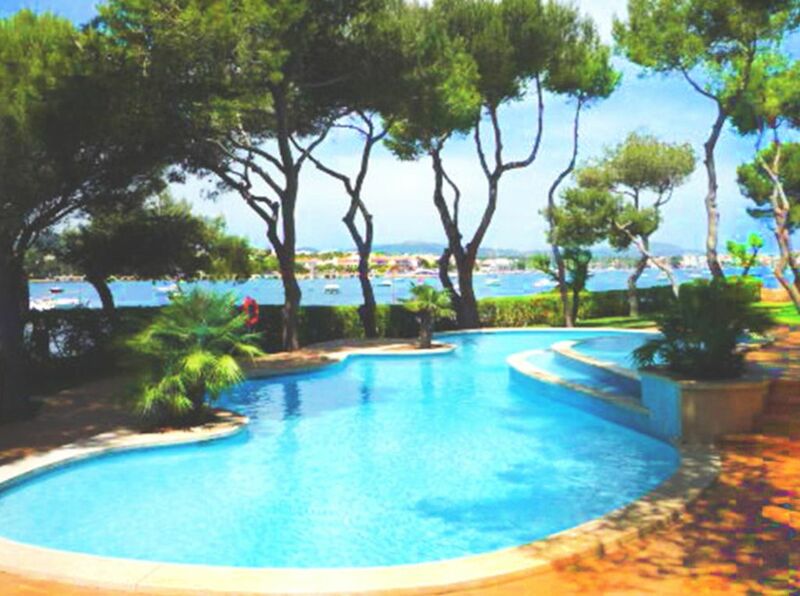 Ocean front, garden level apartment with direct pool access, located in the largest natural harbour of Mallorca in the idyllic fishing village of Portocolom. 10 minutes walk to the pretty sandy beach of Cala Marcal. Small bathing bays directly in front of the house, as well as boat hire and kayak rentals. Being the retreat of the Majorcans, Portocolom is still almost completely privately owned and one of the few villages that still maintain their original Majorcan flair. Shopping facilities directly in front of the house. The diving school is just opposite the street. Our complex comprises a very pretty garden with numerous flowers and a tennis court. In Portocolom you find first-class restaurants and there is the marvellous golf course Vall d'or. 2 terraces (each 19 m²). Thank you Claudia for a wonderful stay at your apartment! Our 2 year old loved the pool and so close to local beaches just 2 minutes walk away. So helpful with baby chair and baby bed for us we felt welcomed and at home straight away. Great evening walks around the marina and the larger beach at Cala Marçal was fantastic for our family to swim relax and build sandcastles. Thanks again - we will be back! The idyllic fishing village of Portocolom is the largest, natural harbour in Mallorca. Here the best restaurant of the island awaits you, the 'Colon', which has an Austrian administration. The original Mallorca is still maintained here. Portocolom offers a lovely old town and the beautiful sandy beach of Cala Marcal. Opposite of the apartment there is the diving school under German administration. The golf course Vall d’or leaves nothing to be desired. Sailing and windsurfing courses are offered. A boat hire offers a large selection from kayaks to motor boats. Here on the east coast you can find the most beautiful beaches of Mallorca. The Platja s'Amarador was voted the most beautiful beach of Europe. The Cala Sanau, close to s'Horta is a secret tip for yacht owners, a wonderful bay right next to it is Cala Mitjana, only accessible by foot. For horse riders there is the stud farm son Menut that offers wonderful horseback rides, for example to swim in the sea with the horses.